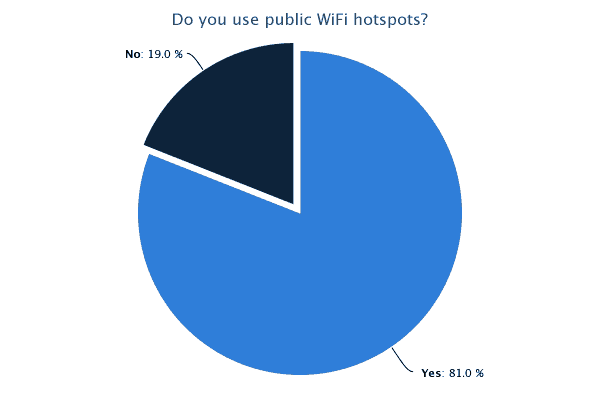 Most people today understand what a portable WiFi hotspot is, as the world is more data-oriented and connected than ever before. The majority of people regularly own and use smartphones, so people can understand the importance and nature of constant internet connectivity. These hotspots aren’t all that different than the typical data plans that are attached to smartphones. How Does a WiFi Hotspot Work? How to Setup a WiFi Hotspot? How Much Is a WiFi Hotspot? How to Use WiFi Hotspot? How Much Does a WiFi Hotspot Cost? What Is Portable WiFi Hotspot? Does WiFi Hotspot Use Data? Is Mobile Portable WiFi Hotspot Free? How to Create Password for WiFi Hotspot? How to Speed Up My WiFi Hotspot? What Is the Best WiFi Hotspot? Does the WiFi Hotspot Cost Money? What Is WiFi Hotspot in a Car? How to Get Cheap WiFi Hotspot? How to Make a WiFi Hotspot? How to Make Your Phone a WiFi Hotspot? How to Make iPhone WiFi Hotspot? Can I Make My Laptop a WiFi Hotspot Windows 7? How to Turn Your Verizon Phone into a WiFi Hotspot? How to Setup PC as a WiFi Hotspot? Can I Use My Sprint Phone as a WiFi Hotspot? Does Jio Phone have WiFi Hotspot? Does PS4 have WiFi Hotspot? How to Make My Macbook Pro a WiFi Hotspot? Why Can’t I Connect to Xfinity WiFi Hotspot? Why Does Xfinity WiFi Hotspot Keep Disconnecting? How to Connect to Xfinity WiFi Hotspot? How to Disable Xfinity WiFi Hotspot on Your Modem? How to Connect Smart TV to WiFi Hotspot? How to Connect Roku to Xfinity WiFi Hotspot? How to Connect Mobile WiFi Hotspot to WiFi Router? How to Connect PS4 to WiFi Hotspot? How to Connect Xbox One to Xfinity WiFi Hotspot? How to Connect to Cox WiFi Hotspot? How Do I Find AT&T WiFi Hotspots? How to Use FoxFi WiFi Hotspot? Does Verizon Have WiFi Hotspots Like Xfinity? How to Connect Apple TV to Optimum WiFi Hotspot? How to Play LAN Games Using a WiFi Hotspot? What Is a BT WiFi Hotspot? 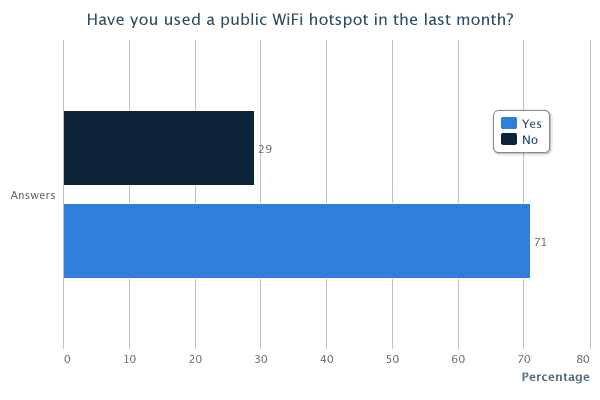 Are Public WiFi Hotspots Secure? 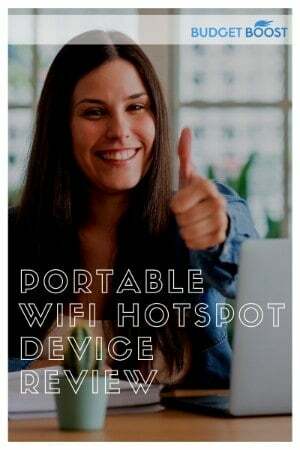 Portable WiFi hotspots, as the name suggests, are portable access points that WiFi accessible devices can connect to for an internet connection outside of the home. Also termed ‘WiFi hotspots’ and ‘portable hotspots’, these devices get their connection via a mobile data network in the same way that a cell phone receives one. They are in essence dedicated mobile modems — the same kind of modem you have at home to connect to the internet. Also, colloquially known as “MiFi”, these hotspots are small and affordable, and can support anywhere from 3-10 connected devices at once. They offer a fast 4g LTE connection, with a 3G connection available as a backup. Many cell phone plans have the option to provide what is called mobile hotspot tethering (sharing) to allow other WiFi-enabled devices an internet connection. This functions in a similar capacity to portable hotspots, but there are some downsides to this feature. Firstly, the amount of mobile data that you can tether to other devices is limited, even on unlimited data plans. Once you reach a certain amount of data on unlimited plans, your data speed will be severely throttled. And for plans that aren’t unlimited, any data used during mobile data tethering counts against the data allotment on your plan. As you can see, mobile data tethering isn’t ideal if you are conscious of your monthly data allotment and want to preserve your data. But this isn’t the only downside for relying on mobile data tethering. This feature has the tendency to take up most of the processing power of your phone. This makes performing tasks on your phone very sluggish and inefficient and is a significant drain on your phone’s battery. Furthermore, if your data speed drops to 3G for whatever reason (or you were on 3G to begin with), your data speed will be to slow to do anything else other than host the data tether. Lastly, a dedicated WiFi hotspot has more data broadband and more powerful antennae. Many phones have the ability to tether to multiple devices at once. But, for every device that is tethered, the connection quality, stability, and speed all drop. 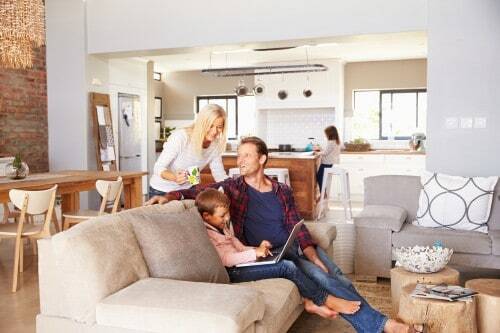 A dedicated hotspot has the dedicated battery power and connective bandwidth needed to provide a fast and quality connection to multiple devices. If you are a person that just likes to occasionally check up on your emails or social media messages while on the go, you’re probably fine just using your phone’s data plan. But if you frequently travel with multiple WiFi-accessible devices, and you do data-heavy activities like stream videos, you definitely want to get a WiFi hotspot. Below we will cover the features to look for when buying a good WiFi adapter. We will also cover what plans to consider, what data providers to look out for, and the prices, data speeds, and coverage that each network provider offers. Just as there are many different features that separate one smartphone from another, WiFi hotspots also have different properties that vary in quality and capability. You will want to carefully consider the features found in these devices and their subsequent prices in order to get the best value for your money. This is one of the first things you should consider when looking for a portable WiFi router because the size and consequently the weight of a portable hotspot will directly impact its portability. Fortunately, this isn’t really something you’ll need to concern yourself with. Because portable hotspots are portable, most of them are very compact to begin with. Most of them are the size of a credit card. However, it may be worth it to consider one that’s a little beefier, but packs more features like stronger antennae and more battery life. Some of them even have ethernet ports to allow your computer an ethernet connection while on the go for increased speed. You should evaluate just how much data you use and what purpose it serves, so you can best decide which features you want in a portable hotspot and thus how big it will be. This is a feature that, like size, you would also look for just as much in a phone as you would in a portable hotspot. These devices get their data connection from one of the four main wireless providers: AT&T, Sprint, T-Mobile, and Verizon. There are other plans besides these four, and they stem from one of these four providers. They are called Mobile Virtual Network Operators (MVNOs). Just like mobile phones, the price and lock status of a portable hotspot may correlate with one another. For instance, many of the cheaper WiFi hotspots are often network locked to one specific network provider. This includes any MVNO that you may have subscribed to that depends on its mother network in order to function. For instance, let’s say that you bought a mobile hotspot. And your chosen data plan for this hotspot is Boost Mobile. Boost Mobile is a MVNO service that is a part of the Sprint network. If your hotspot is locked to the Sprint network, you will not be able to connect to any other service provider but Sprint, Boost Mobile, and any other MVNO that uses the Sprint Network to operate. Consequently, if you decided on a data plan before you made sure to pick a portable hotspot that is compatible with that network, you may have made a mistake! Each major network provider has their own data speed stats and area coverage. You may want to make the extra investment to buy a network unlocked WiFi hotspot. These can connect to any service provider should you want to switch to one with better coverage and speed in your area, and you also don’t have to worry about whether your hotspot is compatible with your network. This is, of course, one of the most important options you must consider when purchasing a portable hotspot. By now, we’ve already discussed the four major operators; AT&T, Sprint, T-Mobile, And Verizon. We’ve also established that there are Mobile Virtual Network Operators (MVNOs) that operate on one of each of these four operators. We will now discuss the data plans of some of the major network providers and their subsequent MVNOs. Data plans are somewhat different for WiFi hotspots than they are for cell phones, as you are only billed for your data usage and not for texting or calling. Here is a breakdown of quality, affordable data plans that are compatible with virtually any WiFi hotspot. Verizon is a clear choice when you need service for a portable Wifi hotspot. Verizon sports one of the biggest and best-developed wireless networks in the country. That means you can feel confident that you’ll get Wifi access no matter where you are and no matter when you need it. Most people use portable Wifi hotspots when they’re traveling, so knowing you’ve got the coverage you need is reassuring. Combined with their competitive pricing and great bundle options, Verizon should be one of the first places you go when you’re looking for hotspot service. The biggest thing we like about Verizon is the reliability and power of their network. They offer great coverage across the country. That’s important. After all, a portable Wifi hotspot doesn’t do you any good if you can’t get a wireless connection. Verizon also offers a huge range of plans for hotspots that let customers pick the exact level of service they need. As a result, you can save money while getting the portable Wifi hotspot coverage that you need on the go. The plans range from $30 to $75, and Verizon even offers free hotspot access on compatible phones for free with many of their most common plans. Roaming Man is a company that specializes in providing hotspot access for devices on the go. The company focuses on providing 4G hotspot coverage anywhere in the world. 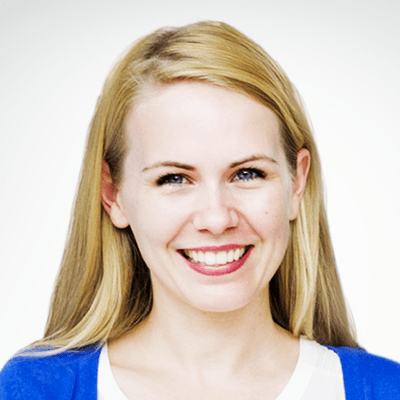 That makes it an incredibly useful service if you’re traveling for business or for pleasure. Roaming Man also lets you set your start and end dates for service, so you can make sure you’re only paying for the hotspot access you need. Roaming Man devices let you connect up to 5 devices at a time, and you get unlimited 4G LTE where available. We really like the fact that you can set your start and end times for Roaming Man’s service. That makes it easy to pay as you go. It also means you don’t need to worry about contracts or other complications. Another thing we like is that Roaming Man has coverage in more than 130 countries and regions. They offer special plans for service in Europe or Asia. As a result, you can get the hotspot access you need no matter where you are in the world. Combined with the great prices and flexibility Roaming Man offers, this all comes down to a great deal for portable Wifi hotspot service. Skyroam advertises unlimited global Wifi at your fingertips, and they deliver. The company has great options on their various pricing plans. They also have service in more than 130 countries and regions. As a result, you can make sure you’re connected anywhere, whether you’re traveling for business or for fun. You can even rent the hotspot device so you don’t need to worry about dropping extra cash on a whole new device to keep track of. That makes Skyroam convenient for both sudden trips as well as those that have been planned long in advance. We really like the ability to buy or rent a Skyroam hotspot. You can connect-on-the-go anytime if you’re a frequent traveler, or just rent a device if you don’t need consistent Wfif hotspot access. We also like how easy it is to use Skyroam. You just need to turn on the device and press start to get the ability to connect up to 5 different internet-capable devices at once. Moreover, the pay-as-you-go nature of Skyroam’s service means that you won’t have to deal with managing a complicated or expensive contract. Instead, you get to pay for the Wifi service you use and nothing more. So, check out Skyroam if you need portable Wifi hotspot access. AT&T has a three-package system for its mobile hotspots. It as a starter plan starting at 2 gigabytes (GB) of data a month for $25/month. They offer two additional data plans as well: $50/month for 5GB and $75/month for 8GB of data. AT&T also offers a prepaid data plan, called “AT&T Prepaid Mobile Hotspot”. In this plan option, additional data can be added to your existing plan at varying prices. These plans operate on a 4G connection, with a backup 3G option. Boost Mobile is a MVNO operating under the Sprint network, as previously mentioned. Sprint offers data plans for portable hotspots under multiple different MVNOs, and Boost Mobile is one of them. Boost Mobile’s hotspot plans start at $25/month for 1.5GB, and at $50/month for 10GB. Boost Mobile also has its own WiFi hotspot, the ZTE Warp Connect, available for $49.99. This hotspot can connect with up to 10 different devices at one time. The Boost Mobile plan offers a Sprint 4G LTE connection, as well as an Enhanced LTE connection option. Another one of Sprint’s MVNOs, FreedomPop is well-known for its free starter plan ($0/month for 500MB), and for the fact that the plan is supported in many countries. In addition to its free plan, FreedomPop also five additional plans: in addition to the free plan, they offer $19.99/month for 2GB, $28.99/month for 3GB, $34.99/month for 4GB, $39.99/month for 5GB, and finally $74.99/month for 10GB. If you are very budget-conscious or travel a lot, FreedomPop is an excellent option to choose from because of their numerous and versatile plan options, and their multi-country support. This plan operates on a 4G connection. This is another one of Sprint’s MVNOs, and this one is geared at providing affordable prices to heavy data users. They offer a unique, pay-as-you-go plan starting at just $3/month. Then for every GB of data you used, you are charged an additional $10. You can also get credit for unused data, and this perk doesn’t expire. In addition to this plan, Karma also offers $39.99 /month for 5GB, $79.99 /month for 10GB, and $99.99 /month for 20GB. Karma operates on a 4G LTE connection with a 3G backup option. Net10 is a Tracfone owned company, and it is a MVNO operates under a variety of different networks. Some of these networks include the four main carriers (AT&T, Sprint, T-Mobile, and Verizon), as well as MVNOs like MetroPCS, Cricket, and U.S. Cellular. They offer a trial plan of 500MB /month for 14 days. At any time, you can also add an additional 500MB of data to any plan for $10. In addition to this, they offer plans starting at $20 /month for 1GB, $30 / month for 3GB, and $50 every two months for 5GB. This plan can operate on any available 4G plan. Net10 also sells their own mobile hotspots brand new for $29.99, and sell reconditioned ones for $9.99. If you need frequent and constant internet access on many different devices, you definitely want to consider a hotspot that can connect to them. Some devices, like the ZTE Warp Connect by Boost Mobile, can connect with up to 10 different devices. This is ideal if you are traveling with a group of friends or family and you all want internet access wherever you travel. Or perhaps a small business trip that demands constant connectivity for work abroad. If you are traveling with multiple people, consider a hotspot that can support multiple devices at once. This is a bit of a niche feature since power banks are both readily available and cheap, but still a thoughtful feature consider. Most power banks are the same size that power banks are, and having a power bank built into a portable hotspot can save room if you value packing space in your travels. However, be warned that this functionality may be a part of the hotspot’s main battery and thus decrease its operating time when the power bank is used simultaneously. This is an important feature and should be considered with great weight. This is not the same as the data speed that your hotspot has on its data plan — the data speed determines how fast the hotspot received data from the cell towers it is connected to. The WiFi speed, on the other hand, determines the speed of the WiFi connection that each WiFi enabled device has access to, thus affecting the speed of that specific devices WiFi speed. Ideally, you should choose a WiFi hotspot that has BOTH a fast data speed AND a fast WiFi speed. As you can see, there are MANY different data plans and device models to select and choose from, depending on your needs. This was just a small sample of the options customers have available to them. We strongly advise you to again carefully consider your needs: your financial situation, how heavily you will depend on your data and what purpose your data will be used for. There is a data plan out there for every person’s needs, and a hotspot model to accommodate every travel situation. Research is your best friend when it comes to deciding which options are best for your situation. This section answers the general questions that you have about WiFi hotspots. Use this information to get a good foundation to take on more advanced hotspot questions. 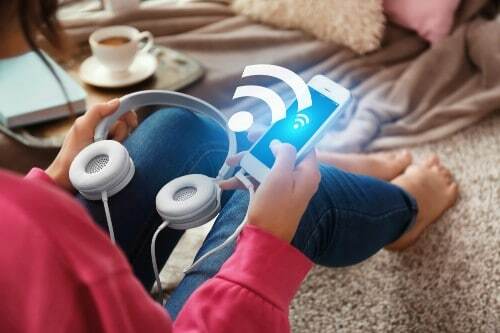 A WiFi hotspot can refer either to a device that creates a WiFi network and uses mobile data connections to allow other devices to connect to the internet from anywhere. It can also refer to a static location that offers a network connection devices can use to get on the internet. A WiFi hotspot works by using mobile data, just like your cell phone, to talk to the internet. At the same time, it creates a local WiFi network that lets other devices connect and share the internet connection. That depends on your particular device. Usually, you’ll need to enable the hotspot and, on the device you want to connect, connect to the network and input the network key to log on. That depends on the type of WiFi hotspot you want to use. Many cell phones can act as a hotspot, so you may already have one. Moreover, you’ll need to factor in any data charges that might apply. You can use a WiFi hotspot just by turning it on and then using the network key, if there is one, to log on to the hotspot with your preferred device. Different devices cost different amounts. They can range from $15 to $100, plus any data charges that apply. Some of them can have their own data plans which can be fixed or pay-as-you-go. A portable WiFi hotspot is a device that uses cell towers to connect to the internet. It also broadcasts a WiFi signal that other devices can connect to in order to use the internet connection. Usually, yes. Some devices require their own data plans and others will charge your current cell phone plan for data. Mobile hotspots always use data, static ones probably don’t. Not usually. If you want a separate mobile hotspot you’ll have to buy one. However, many smartphones have the ability to act as a hotspot and the features is included for free. That depends on your specific device. Sometimes you’ll be able to set a password every time you turn it on, other times the password will be listed on the bottom of the device. That depends on what kind of WiFi hotspot you’re looking for. Check with your internet service provider to get a list of near-by hotspots. You can speed up a mobile hotspot the same ways you’d get better reception on a smartphone, as the two are basically using the same process. Place the hotspot near a window, keep it away from radios and other kinds of interference. The best WiFi hotspot depends on your needs. Most people simply use the hotspot abilities of their smartphone. However, the google WiFi -1 pack is another popular option. If you’re using a static hotspot provided by your internet service provider, then no, it doesn’t. But if you’re using a mobile hotspot you’ll have to pay for the device and any associated data. A WiFi hotspot in a car is a device that creates a local WiFi network and uses cell tower connections to allow connected devices to access the internet. One way to get a cheap WiFi hotspot is to see if your smartphone already has the ability. You can also check Walmart, which has hotspots for sale starting at about $15. This section answers your questions about how to turn various devices into WiFi hotspots. You can make a WiFi hotspot by using a device to create a WiFi network. You can use an external device or many modern smartphones. You can also set up a WiFi hotspot in a store using your internet service provider’s router. Creating a WiFi hotspot involves getting a mobile device to broadcast a WiFi network. You can also create a static WiFi hotspot using your router and information from your internet service provider. That depends on the model of phone you have. For most phones you can create a hotspot by looking at your network settings. You should see something that says tethering and hotspot. This menu will let you enable your phone as a hotspot and provide the login details you’ll need. First open the settings tab and select mobile data. Tap personal hotspot and set it to on. Then, the phone will ask you to set a password for the network. Once you do so, your iPhone will act as a hotspot. It’s easy to use the iPhone as a WiFi hotspot. Just go to the mobile data section of your settings, tap Personal Hotspot and set it to On. Then you can create a password for your new network and you’re good to go. First click the wired connection icon in the system tray. Then select open network and sharing center. Then select Set Up a New Connection or Network. Pick create an ad hoc network and the wizard will start up to create your network for you. That depends on what kind of phone you have. Most phones will have a network connection or mobile data section under the settings tab. You can find the option to turn on a hotspot there. That depends on what operating system you’re running. Generally, you’ll want to open your network settings and look for an option to create an ad hoc network. The ad hoc network will be the hotspot network. Sometimes, depending on the model of your phone and your service agreement. If you have the right phone and service agreement, check the network or mobile data section of your settings for the option to turn on the hotspot ability. No, the Jio phone does not have a built in WiFi hotspot. You’ll need to download a special app or use an external mobile hotspot to create a WiFi network with your Jio phone. Yes. From the menu on the PS4 press the option button on the controller. Select Wi-Fi Hotspot, then hit yes, yes. This will show you the hotspot details so you can connect devices. You can make your Macbook pro into a hotspot by going to the internet sharing menu in the system preferences window. Click the Apple menu, select system preferences, and then click the sharing icon to start the setup process. There are lots of questions about Xfinity WiFi Hotspots, so we’ve dedicated a whole section to answering them. The most likely reason is that you haven’t logged in to your Xfinity account first. When you first try to connect, the network will ask for your Xfinity log in details. You’ll need these to use the hotspot. That depends on the devices you’re using. If there are other networks in range, then your device may be trying to switch to another network. You can fix this by changing your network priority list in your network preferences. You can connect to an Xfinity WiFi hotspot by selecting the network from the list of available options and connecting to it. When you open a browser you’ll see an Xfinity log in page. Enter your Log In credentials and you’ll be good to go. First go to https://customer.xfinity.com/#/settings/security/hotspot. Then sign into your account and click turn off to disable your public hotspot. We’ll cover how to connect different devices to WiFi hotspots in this section. Use this information to get your device connected and get the internet flowing again. First sign into your Xfinity account or use the Xfinity app and select services. Click Internet and then manage internet. Look for Xfinity WiFi Hotspot Connected Devices and select manage devices. This will allow you to remove devices from the hotspot. You can connect your Roku to an Xfinity WiFi hotspot by telling it to connect to the network. Then, open a browser and log in to your Xfinity account. This should connect your Roku device. You’ll need to get support from your mobile hotspot manufacturer. Most mobile hotspots don’t allow themselves to connect to a WiFi router. Even smartphones turn WiFi off when acting as a hotspot. That depends on the kind of WiFi hotspot you’re trying to connect to. Usually, you should just be able to select the hotspot network and enter the login credentials, but this can change based on the nature of the hotspot. Try searching again with more information about your situation. First, open the settings on your Xbox. Choose Network from the Console section and go to Advanced Settings. Select Alternate MAC address. Finally, enter the MAC address for the hotspot and press enter. Then restart the Xbox for the changes to take effect. This section answers questions about WiFi hotspots from companies other than Xfinity. You can connect to a Cox WiFi hotspot by selecting the network on your device. Then open a browser. The first page that launches should be a Cox login page. Enter your login credentials to finish connecting to the network. The best way to find AT&T WiFi hotspots is to use their tool. It’s called the AT&T Maps tool and you can use it to locate hotspots for your device. All you need to do to use the FoxFi WiFi hotspot is download and install the app. The app will turn your phone into a hotspot and use your phone’s normal data for the internet connection. Yes, they do. However, they don’t have as many hotspots. Verizon has about 5,700 hotspots across the nation while Xfinity has upwards of 15 million hotspots. You’ll need to enter your Optimum ID and password after signing on to Optimum.net. Go to My Account and pick Automatic Sign in. Enter the MAC address of your Apple TV to connect it to the hotspot. There are a few WiFi Hotspot questions that don’t quite fit into our other categories. We’ll cover those questions in this section. This can be tricky depending on the network setting the particular games require. You should be able to connect all of the devices to the hotspot to get them on the same network and play games together. BT WiFi hotspots are hotspots provided by a company called Fon. These are located around the world and can be used for free by BT Broadband customers. Sometimes but not usually. We recommend telling your computer that you’re on a public network so it can use the appropriate settings to keep you safe.